Our products have been developed by companies who are recognised experts in the field of working at height. The results from falls when working at heights can be devastating, both for workers, co- workers and their families. 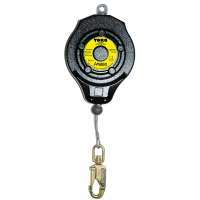 Height Safety and Fall Arrest There are 18 products. Our Drager (Draeger) range of Self contained breathing apparatus kits are mounted on harnesses that are designed for optimum efficiency with regards to load distribution in order to minimise the risk of stress, fatigue and back pain. These harness units are manufactured to the highest professional standards, are fully integrated and easy to use, requiring only the minimal amount of training. They are suitable for use in both industrial and fire fighting situations, being both fire and chemical resistant. They are also designed to offer the minimum in snagging/entangling risk, largely due to the advanced design features such as integrated guage and compressed air supply hoses. These units are designed to be easy and quick to disassemble and reassemble, and feature single piece retention of the space frame to the harness. This combined with their inbuilt resistance to chemicals mean they are simple to clean and maintain after use. 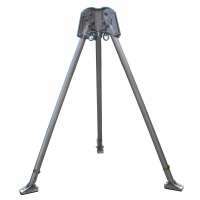 We have two excellent tripods made by Abtech, they are both 2 person tripods, only one of them (RT3) is a dedicated rescue tripod: We also stock two other excellent tripods; one made by Ridgegear and another by Protecta. All four are superbly designed and manufactured to the highest standards, specifically designed for height and fall arrest situations. All our tripods comply with (and often exceed) modern safety standards and regulations. They represent the ultimate in height safety in terms of reliability and durability as well as being highly economical and easy to use in demanding environments and situations. 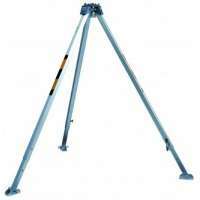 Height safety Tripods are used for confined space entry including rescue from height applications. Tripods have three legs and are made from lightweight aluminium so that they can be easily transported between locations and quickly set-up ready for use. The right choice of equipment is crucial when working at height or in a confined space situation, our staff are experts in this field and will be happy to advise you on the best choice for your individual needs. Here at Resmar we have three, high spec, exceptionally well designed, rescue winch units from Abtech and Ridgegear. Both companies have extremely good reputations for designing well thought out and superbly manufactured safety equipment for use at height and in confined space situations, as well as dedicated rescue systems that literally save lives. We are experts in these specialised fields and our sales team are happy to help you to find exactly the right unit for your specific needs. We take height safety seriously and we have researched the market to find only the best and most reliable units at the best prices. Our range includes the Ridgegear RGR7 rescue winch, the Abtech UCL 30m winch, and the Abtech tuff man winch. Here are some of the advance specifications at a glance; full technical specs are available in the product data sheets. 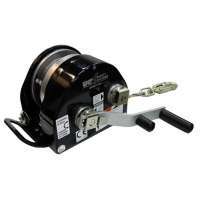 5mm Galvanised Steel Wire Rope, High Tensile Steel Alloy Connector, Weighs 21.1kg, Clutch Lock Mechanism, Rapid Retrieval/Lowering of Cable, maximum safe working load of 200 kg, gear ratio 1:8:9, EN 1496 A and B, 50m working length, double action connector. 30 Meter man riding winch, Two Speed 100-foot winch, Inertia Brake, Triple Redundant Design, FBS EN 1496, Weighs 15kg, maximum user weight of 204 kg. Here at Resmar we have established an enviable reputation for being one of the leading independent suppliers of working at height and confined space entry and rescue equipment. We have built a reputation in the industry for having a clear understanding of our clientsÕ requirements and providing them with exceptional technical advice/back up, whatever their problem. We have a large selection of products to offer our clients - whatever your needs are, and we pride ourselves on our combined knowledge and experience in the field of height safety equipment. So please do not hesitate to contact us regarding any of the equipment available here. We offer a number of dedicated professional training seminars and courses as well as all the backup and support you could possibly need. When it comes to working at heights kits we have researched the market to bring you the most reliable, well designed state of the art units we could find at the most competitive prices, from two of the most respected names in the industry - Abtech and Ridgegear. A robust and lightweight stretcher combined with horizontal and vertical lifting straps, dedicated carry bag. Designed for carrying injured persons in difficult and dangerous outdoor environments. 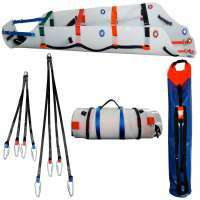 Slix 100 Rescue Stretcher, Slix Horizontal Hauling Straps c/w/ Connectors, Storage Kit Bag, CE93/42/EEC class one , recommended user weight 400 kg. The consequences of accidents are often extremely difficult to bear both socially and financially for all involved and here at Resmar we want to offer you the safest and most reliable systems available on the market today to help you to avoid accidents. The right choice of equipment is crucial when working at height or in a confined space situation, our staff are experts in this field and will be happy to advise you on the best choice for your individual needs. We have an excellent range of height safety equipment by world- class manufacturers such as; Ridgegear, Abtech, Protecta, Drager and DBI. 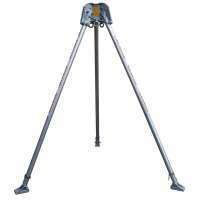 All our tripods represent the ultimate in height safety in terms of reliability and durability. Highly economical and easy to use. Full compliance with modern regulations and safety standards. 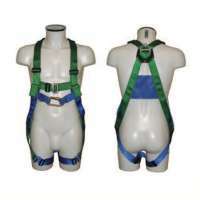 Superbly designed and manufactured to the highest standards, specifically designed for height and fall arrest situations. 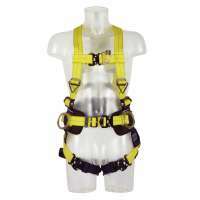 FALL ARREST BLOCKS; by Abtech, Ridgegear and DBI. All of the units in our range are lightweight, high performance, durable, reliable, designed for controlled deceleration in the event of a fall.